Notable Missourians is a nonfiction book series for young readers in grades 3 to 6 about people who contributed to Missouri’s history or culture and who were born or lived in Missouri. Topics represent significant time periods or trends in Missouri history and introduce students to stories of lesser-known historic figures. Each full-color 48-page book is vividly illustrated with artistic drawings and historical pictures and maps to bring the text to life and is filled with details designed to be a valuable resource for students at the appropriate age level. The Introduction and Legacy sections help students identify major ideas and themes. Each book includes substantive information, such as first- and secondhand accounts, that are developed throughout five chapters. Each book also includes a timeline, suggestions for further reading, a bibliography of the author’s sources, and an index. Website links are listed for additional ways students may access more visual, oral, or interactive information. The series meets the Missouri Learning Standards to build knowledge through reading and comprehension of more complex texts. Reading specialists have evaluated each text to check that it meets the appropriate reading level. A Teacher’s Resource Guide is available for each book, downloadable from a website link. This resource for young readers is designed by historians, educators, and librarians who serve as authors, editors, and advisors to the Notable Missourians series. 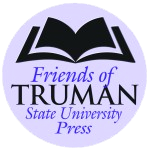 The series is published by Truman State University Press. See books published in 2014 – Now with “Look Inside” feature! See books published in 2015 – Now with “Look Inside” feature! See books published in 2016 – Now with “Look Inside” feature!